What is the most important question that you have about your Bichon Frise? The question that keeps you awake at night, worrying about your little one? 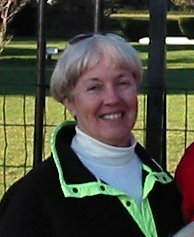 Linda Brinser, author of All About Bichon Frises. Are you looking for specific solutions to a problem you have with your dog? Real answers, not superficial answers that leave you guessing. Or do you just want to learn how to take care of your tiny Bichon Frise puppy? I’ll give you information about Bichon Frises that you won’t get anywhere else. You’ll learn about how small dogs are much more fragile than anyone tells you. I’ll provide you with practical solutions to medical issues. You’ll learn tricks to get your naughty little Bichon Frise to behave. You’ll learn how to train a dog that consistently ranks in the “top 10 hardest to train dogs group”. And I’ll help you ease your aging dog through those last tough years and months. Of course you can find many websites about dogs, even Bichon Frises, on the internet. Many are just fluff or talk about dogs in general, even if the name of the website is a specific dog breed. 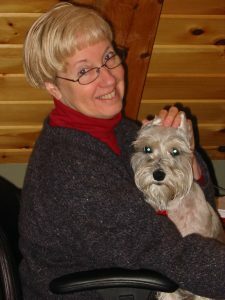 Linda Brinser and current dog Skipper working together in the office. Some dog websites are good, while others have just copied information from another website, not knowing if the information is accurate. The writer has not done his homework! Any information that you find on this website has been carefully researched. And, with my background in Occupational Therapy, I look at dog problems through the eyes of my medical and psychological training for people. I try to give you a fresh approach, with practical solutions, so that you can make your own informed decisions about your special little Bichon Frise. My learning experiences with dogs have not always been easy. Have you ever felt helpless when caring for your dog? Or had an experience where you would do things differently another time? I guess that’s how I became interested in sharing what I know about dogs. You see, I’ve always loved dogs. Mongrels, pure breeds, big dogs and small ones. And I’ve always had one or more. They fill a very important spot in my life. Two very different dog events stand out in my mind, though. In both cases, the end result could have been different. The first event that I regret was when I was about twelve. We had a dog, Ginger, who was a German Shepherd and Collie mix. Ginger went everywhere with us, including a four day trip in the car every summer to see my grandparents in Wyoming. To make a long story short, she got pregnant (no one spayed their dogs then) and we lost her in childbirth. I cried for months. I still believe that, with proper prenatal care, we could have prevented that tragedy. The second event that I remember so well was much later. I was a young mother with four children, and we had agreed to dog sit my parents’ senior dog. Lucky was a black Labrador retriever. She was 10 years old and had lost most of her sight. As she was a well-behaved family dog, I put her outside to potty and went back inside the house. I quickly got distracted by my children’s activities. When I went to let Lucky in, she was gone. On occasion, when Lucky wandered away at home, my mother would play their organ as loud as it would go, to show her the way home. So I played our organ loudly, for at least an hour, to no avail. No Lucky. We lived in the country and we searched everywhere we could, but did not find her. I was panic stricken! My parents would never forgive me if I lost her! For three days, I worried, asked friends to keep an eye out for her and prayed that we would find her. On the third day, I received a phone call from a family who lived over a mile away. They had found Lucky wandering near their home, looking lost. She had been in their basement for the last three days! Safe from the cold weather and with food and water. Knowing what I do now, I would have taken the simple measure of keeping Lucky on a leash when she went out. She was blind, in an unfamiliar place and she needed some help. With just a little knowledge, I could have avoided a near tragedy! I just didn’t know any better. 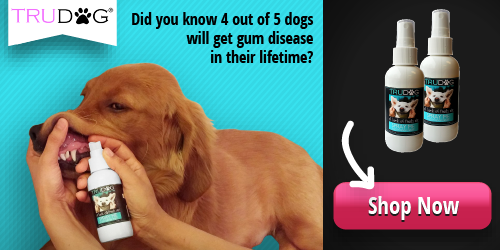 Let’s work together to help keep your dog happy and healthy! I’ve learned a lot about dogs over the years, and I’d love to share what I’ve learned with you. Perhaps I can help you have a smoother ride with your dog and help you avoid some of the problems that dog owners sometimes have. Perhaps you have a Bichon Frise or another little white dog with tear stains and you’d like to know what to do about them. Or you are single or retired and would like to have a little companion to go kayaking, biking or in your backpack when you go to summer fairs. Maybe your little dog is aging and starting to have medical issues or problems getting up and moving around. Or you are dealing with a heartbreaking condition like dog cancer. If any of these things sound familiar, you’ve come to the right place! One thing I love about Bichons is that they are very portable. You can take them with you almost anywhere! Put your little Bichon in a pocketbook carrier, a bike carrier or a backpack and you’re ready to go! And if you are spending a quiet day at home on your computer, your dog may just want to curl up in your lap while you type away. I live in the U.S. with my family, and enjoy gardening, boating, kayaking and snowshoeing. 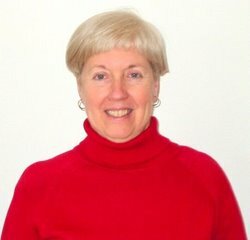 I also enjoy writing, and I have several websites that keep me pretty busy! The websites are about things I enjoy–dogs, sewing, and log and timber homes. If you like to bake, you might enjoy making dog treats for your dog, and you’ll find many of my dog treat recipes here. Skipper and I would like to stay in touch with you and let you know when we have news or new articles that you might enjoy. So let’s stay in touch. Why not sign up for my newsletter in the right column, so I can let you know what’s happening from time to time?